What segments of the process have the largest gap? Which segment are the easiest to work on first? Typically, you want to see improvements in the quality of the output, the speed in which that quality work happens and the efficiency of that segment. Looking at Concept Development for example you will want to see a greater variety of innovative concepts produced in a shorter time. With Mechanical development you will want to quickly develop mechanisms that are reliable, use the fewest parts and deliver the desired result efficiently. Improvements in the process will come from identifying the area’s most in need. Evaluating each step of the current process and being open to doing things differently is the required mindset for improvement. The worse thing someone can say during this examination is “that’s the way we have always done it.” There is always room for improvement. There is also always a cost for those improvements, usually in time, money and human resources. The trick is to work on the areas where you’re going to get the biggest return on your investment. Evaluating each step and identifying ways to consolidate them while increasing the quality of the output is not easy. Some of the ways to accomplish this are eliminating nonproductive steps, upgrading the tools used, and of course bringing more collaboration and teamwork to solve problems. The process of self-evaluation is certainly challenging but when you are talking about a long product development cycle small increases in efficiency can reap large rewards. People experienced in developing new mechanical product know that it is an iterative process. You concept, develop and then iterate a product. 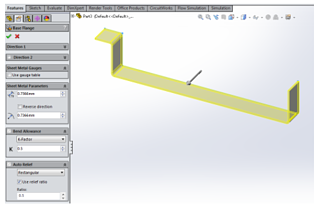 The prototype iteration process starts with the development of a Solidworks File that defines all parts of the assembly. A model is made of the assembly from 3D prints or CNC cut parts of each piece of the assembly. That prototype is evaluated and tested to find every improvement possible at the stage. These changes are then incorporated back into the Solidworks file and new model is built. The process is repeated until the product is ready for manufacturing. The variety of acceptance of this process is interesting to me. There are those who don’t iterate and those who iterate too much. The more inexperienced developers get frustrated by the fact that problems even exist on a first prototype and focus on blame rather than on discovery. The other end of the spectrum is a very experienced person that can’t stop the process even as the changes proposed have diminishing returns. The inexperienced developer that expects everything to be perfect after the first round of prototyping is usually reacting to the cost of prototyping and views having to spend money on a second round of prototyping as some sort of failure that should have been prevented. We in the service industry have the responsibility of educating our clients that iteration is expected. It is not a failure. You can’t foresee every aspect of how something is going to work by looking at the model on a screen. The transition from screen to reality brings unexpected problems and challenges. That needs to be clear from the onset. The value of making a better product by making changes in the early stage is clear. It is far more expensive to make changes after the product has been launched. Sometimes it is even too late. In today’s instant social media age, a bad reputation happens so quickly. It is much better to spend the time and money up front than to move forward with a product that you know has problems, but you don’t want to take the time and money now to fix. On the other end of the spectrum is someone who can’t stop the process. Granted there are always going to be improvements that can be made. Losing site of the big picture though can sink a product for no good reason. You must ask yourself “is moving that button over .100 really going to sell any more product”? Will any body but you notice that change when using the product. Are you making this change to improve the usability, aesthetic or functionality of the product? Will it lower product or distribution cost, ease assembly or improve the return on investment in any way? If the answer is no, then why are you spending time and money on it? Analysis to paralysis is very real for some people, teams and companies. Nothing is perfect but there is appoint of diminishing returns. Take your iteration process to the next level. Develop a product you are proud of. Create something that people will use and enjoy using. Invest in a product that will bring you a return on that investment. If you have produced a product that does these things then perhaps it will have a long enough life that you will have an opportunity to make a second generation incorporating all the learning that you have gathered along the way. Product development concerns problem solving. Most products are conceived by identifying a problem and envisioning a product as the solution. The development of that product from the initial vision to the retail shelf proceeds through a series of problems and solutions. Experience solves some problems and trial and error solves others. Problems that arise during manufacturing present some of the most frustrating areas in the product development process. This is especially true for injection molded products. 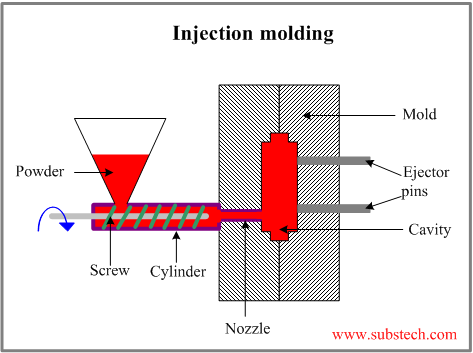 The development process for injection molded products is usually long and arduous. By the end of that process, you’ve spent a lot of time and money on development and tooling. Now you face a production deadline that looks a bit scary, especially when you finally get the parts from the molder and they just aren’t right. Stay calm! A little bit of advanced planning, some knowledge of often underutilized technologies, and a good part review and troubleshooting process can alleviate some of that stress. One of the biggest mistakes people make is failing to schedule first, second, and third shot reviews of injection molded parts. These reviews should be an expected part of the process. In today’s fast-paced, low-cost environment, optimism leads to skipping this necessary process. First shots are the first complete parts off the injection molding machine. The designer reviews these parts and checks their dimensions against the files that were provided to the toolmaker. Expect to make adjustments from this review. Second shots are the parts made after those adjustments. With luck, everything has been addressed and your parts are good at this point; however, it is possible—and expected from a scheduling standpoint—that another round of adjustment is necessary. Another issue is that all today’s available tools and information are not utilized. I have seen molds made improperly because the manufacturer did not read the data sheet for the material to be molded and the length of the runner was too long. Material suppliers possess a great deal of knowledge and material-specific literature for mold design and processing. Use it. Mold flow analysis software is also widely available now. It should be used during the part design and the mold design processes. 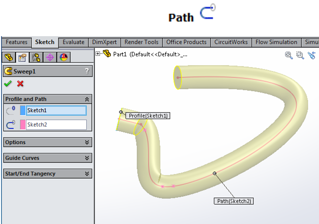 This software simulates how the plastic will flow through the mold. It will even show the optimal location where the plastic should be injected (gate location). The cost of molds today should mandate this step in every mold build. Another fairly new technology, “scientific molding,” involves the separate control of the molding parameters that yields very consistent parts. Discuss this technology with the molder to see if the parts being molded would benefit from its use. The part review and troubleshooting process directly affects the bottom line. The parts need to be right. Parts rarely come out completely as expected. It doesn’t much matter why the parts are not the way you expected. With time as your enemy, all that matters is fixing it. This can mean adjusting the mold only a few thousands of an inch to make a snap work better or a latch engage properly. In a best-case scenario, the adjustments are “steel safe,” meaning that you add plastic to the part by removing material from the mold. If you must reduce material from the part, then you must weld material onto the mold and machine it down—a much lengthier process. Product development entails a series of problems and their solutions. The stress at the end of the process sometimes makes the last steps the most frustrating. Planning for that, doing everything you can to prevent the problems before they happen, and having a good process in place for part review and troubleshooting make it all a bit less painful.